Antonio Giovinazzi has said Kimi Raikkonen will help him through the early stages of his Formula 1 career with Sauber. The duo will form a new-look line-up at the Swiss team next season, with Giovinazzi having just two grand prix starts to his name compared to what will be Raikkonen’s 17th season in Formula 1. The Italian is looking forward to working alongside a motivated Kimi, who is willing to pass on any words of wisdom as Giovinazzi begins his first full rookie campaign. 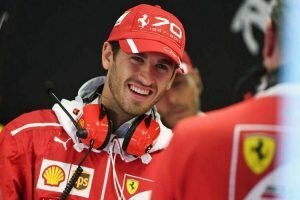 “Charles (Leclerc) said he talked to Vettel from time to time and Kimi a little,” Giovinazzi told Sky Italia. “But on the day of testing I talked with him a lot, like never before. Raikkonen, meanwhile, still expects to maintain a good friendship with Sebastian Vettel, even though the two World Champions are no longer team-mates. “I’m sure we’re going to see each other often,” Raikkonen said. “I don’t think it has changed from when we met for the first time to today, so I don’t see why it is going to change anywhere even though we’re not racing in the same team. This will be the first time in 18 years that Raikkonen has got behind the wheel of a Sauber. The Finnish veteran debuted in 2001 with the Swiss outfit and had an impressive season. In fact, his performance drew the interest of Finnish legend Mika Hakkinen who backed his compatriot to replace him. Since then, Raikkonen has never looked back and bagged his maiden title in 2007. All this was in his very first season in the Scuderia colours, having moved there from McLaren.